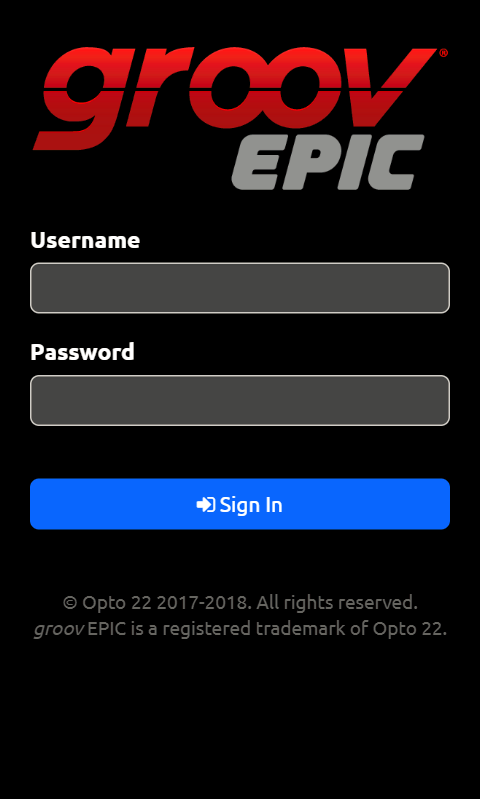 You can sign yourself (the current user) out of the groov EPIC Unit from two places. From the menu button ( ), select User. From the groov Manage Home screen, select Current User ( ) . 1. From the User screen, select Sign Out. Note: This will immediately sign out the current user from the groov EPIC unit. 2. The login screen is displayed, ready for the next login. 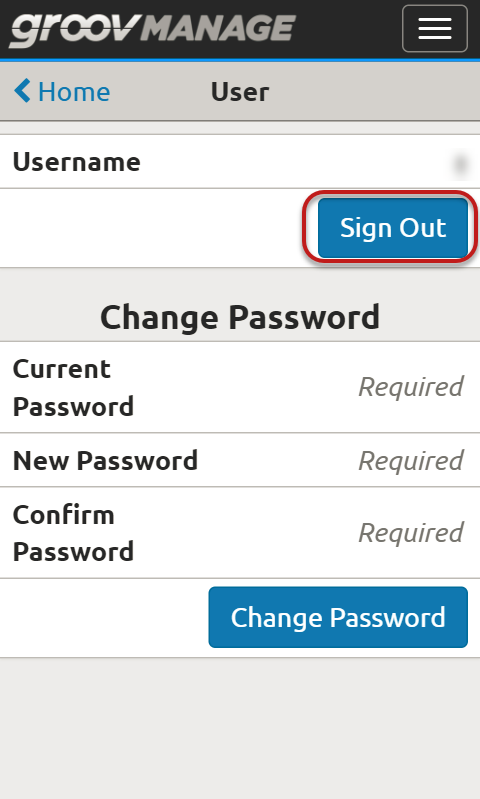 Steps to sign yourself (current user) out.